The Brew is getting loved up this month as Karen prepares for her wedding to her Prince. 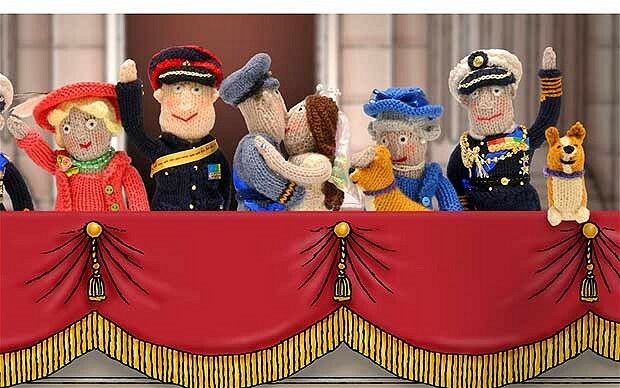 Preparations started a few months ago and obviously include a few knitted and felt items! A modified Alan Dart wedding cake is almost done, felt flowers are blooming and the bunting will get an airing. Of course, all we've seen the past few weeks is this book for THE royal wedding! It has come a bit late otherwise we could have done a few corgis too!